Simplify complex jobs with a handy touch & swipe operation panel. Ricoh MPC 306sp. Get the most from your office space and benefit from a quick, lasting return on your investment with Ricoh’s new smart A4 colour MFPs. 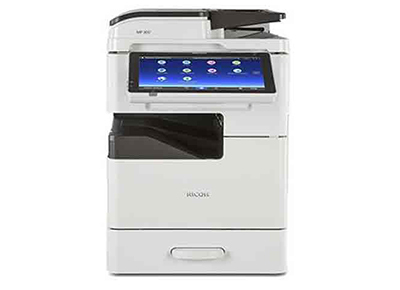 Designed for fast operation and easy integration with your existing document workflows, this MFP series features a large, intuitive control panel that’s as simple and convenient to use as a tablet, combined with the ability to handle many of the functionalities and workflows of a large A3 MFP. But these MFPs do more than enhance productivity. They eliminate the need for you to invest in extra space for the functionalities you need. Their small footprint and quiet operation mean they can be placed anywhere without distracting employees or interrupting meetings. And to help you save even more costs, while reducing your carbon footprint, Ricoh has made them amazingly energy-efficient.